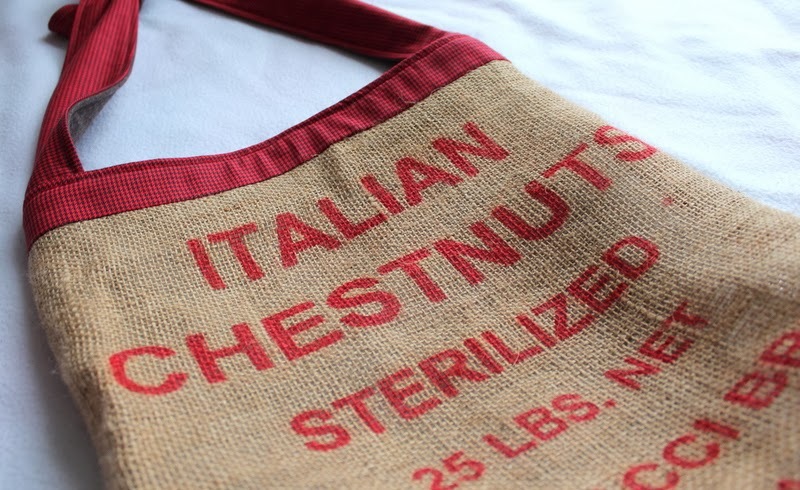 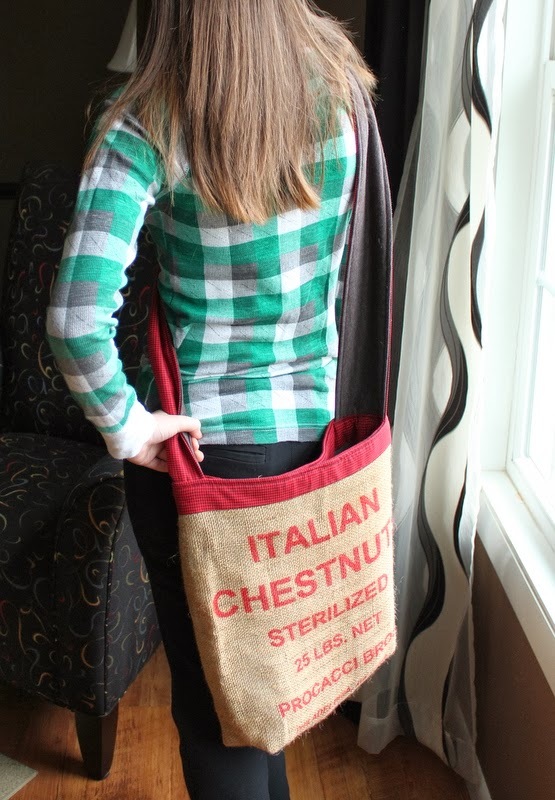 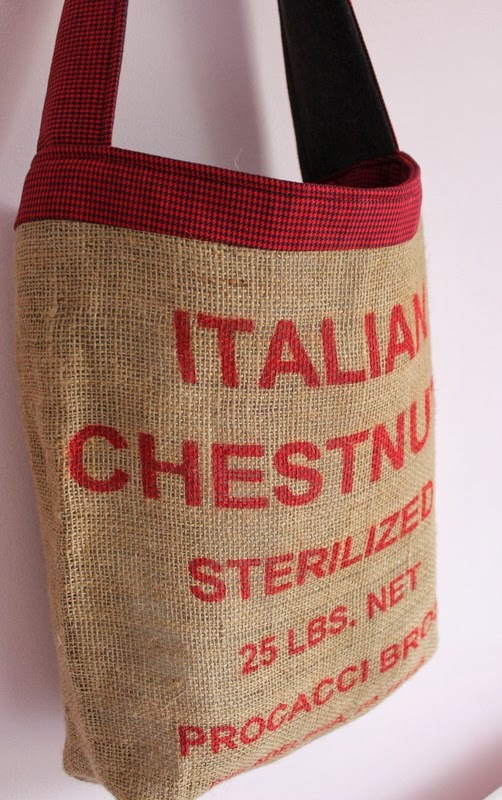 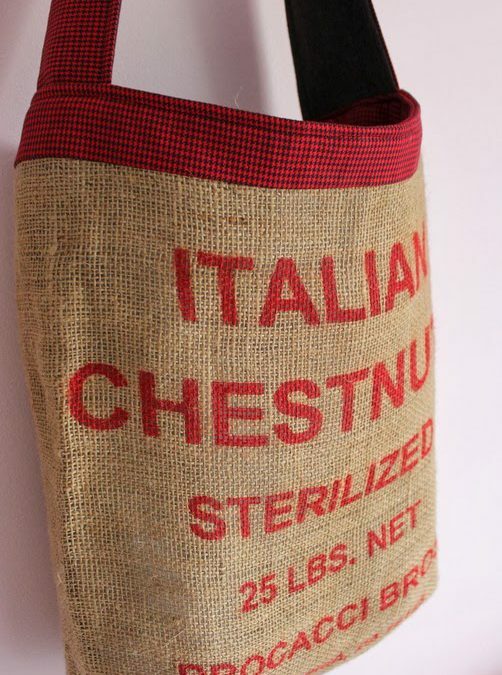 I created a tote bag using one of the chestnut bags I snagged from the grocery store last year. 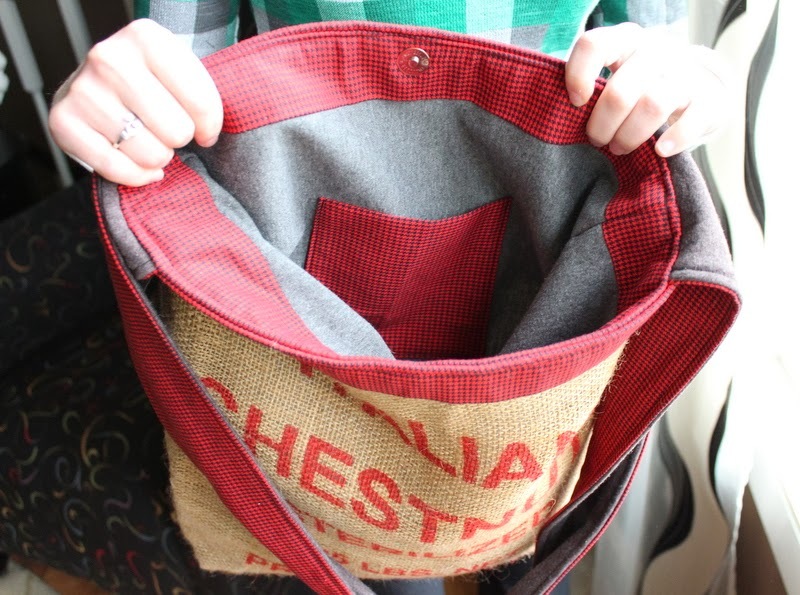 I used a black and red check fabric for a border and sweatshirt fleece for the lining. 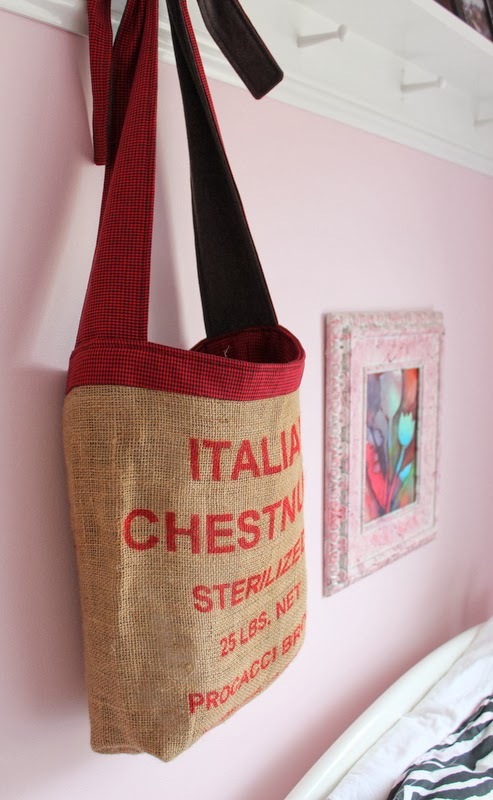 The straps are long, but tie, so you can wear the bag cross body or tie it shorter for shoulder length. 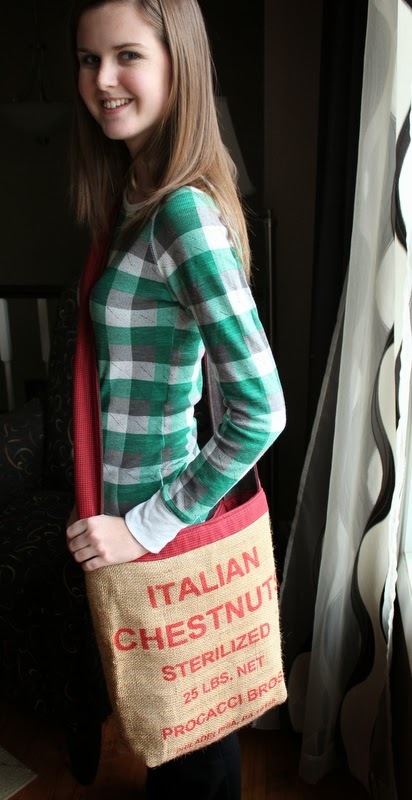 I have one ready-to-ship and two more that can be made. 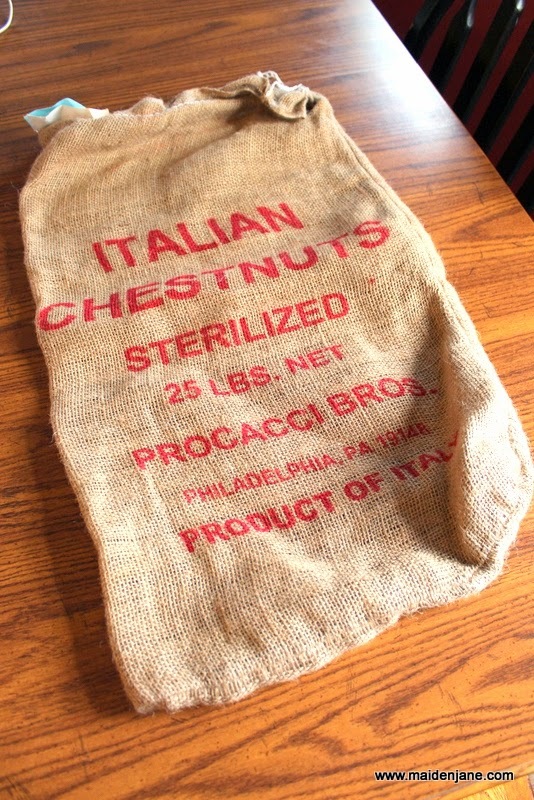 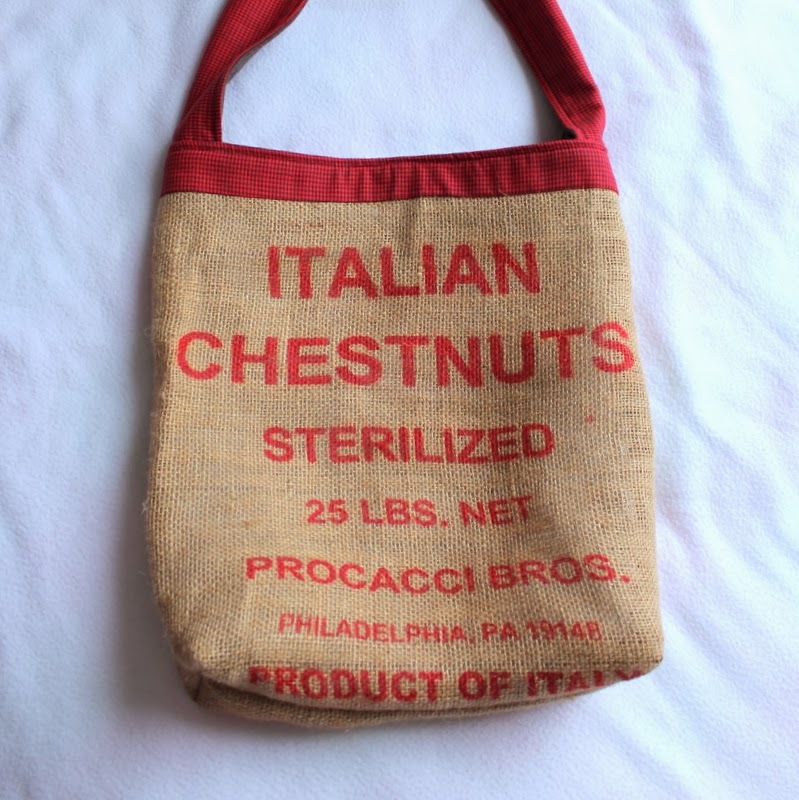 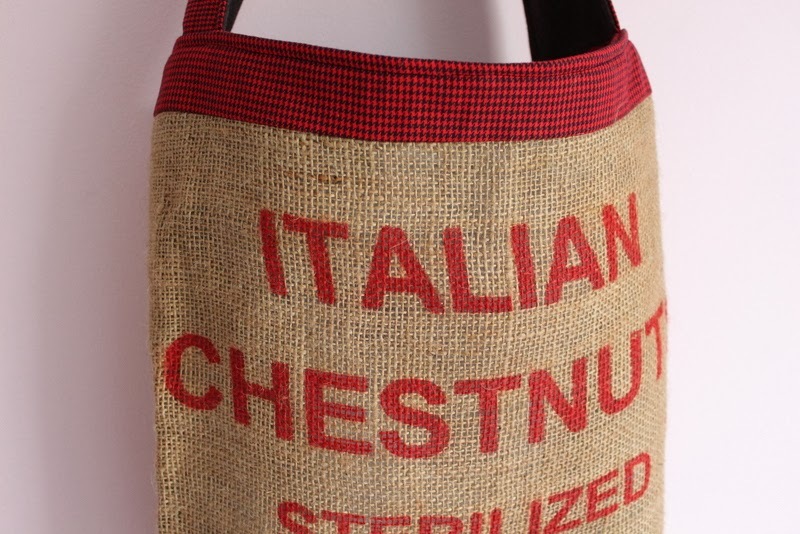 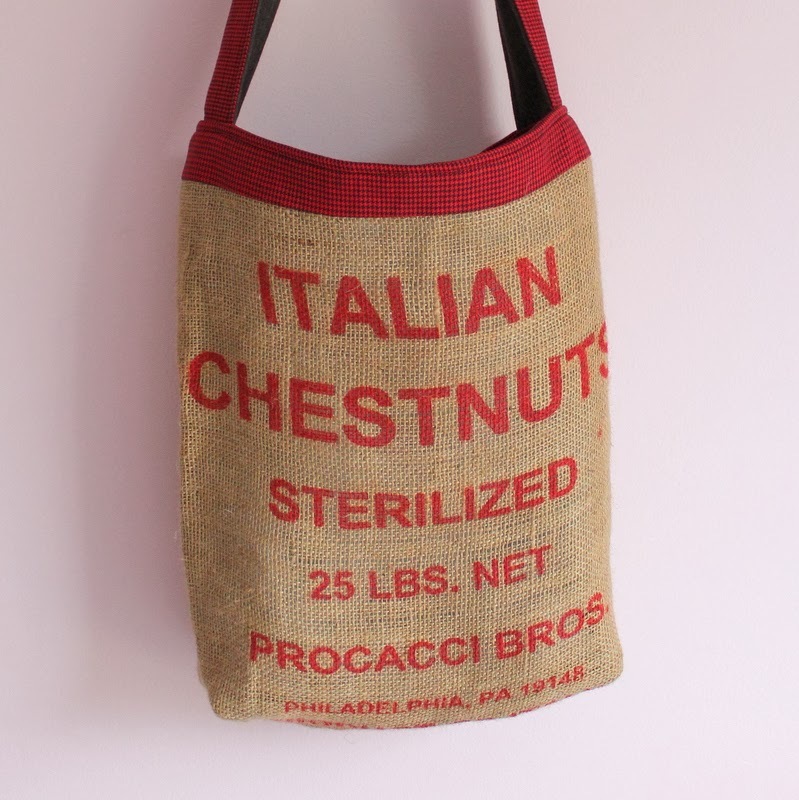 What a great bag ~ and being half-Italian, it has a special appeal for me. 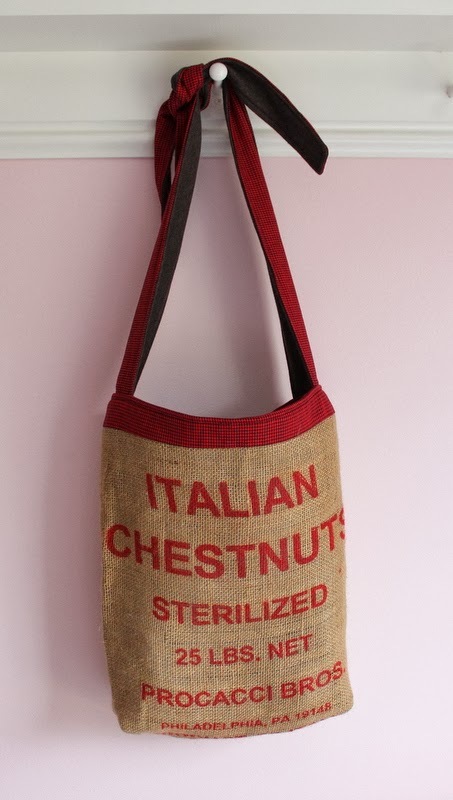 And it’s so beautiful made too ~ LoVeLy!